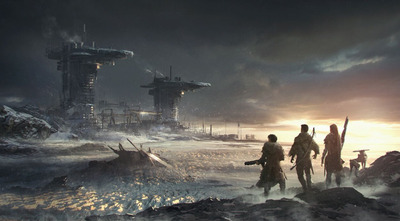 Improbable will fund the development of “Scavengers,” a new survival shooter from independent game studio Midwinter Entertainment. Improbable raised $US502 million from Japanese tech giant SoftBank in May, which chief executive Herman Narula said frees the firm to fund “risky” content that can run on its SpatialOS software. 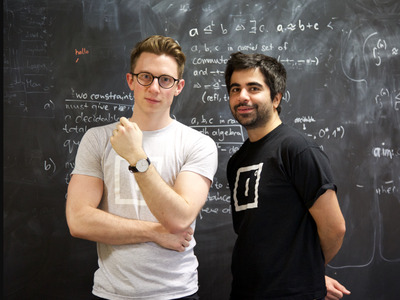 Fast-growing British startup Improbable, whose software is intended to power virtual worlds, has figured out what to do with the massive $US502 million (£359 million) cash pile it raised last May. Holmes oversaw the blockbuster “Halo” franchise for seven years while an executive producer at 343 Industries, but left in 2016 to pursue indie game development. 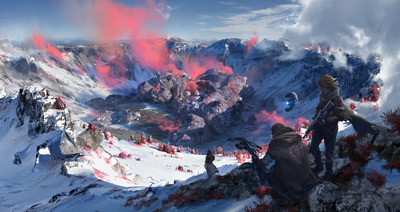 Holmes described “Scavengers” as a survival shooter where teams of players compete to explore and escape from a “hostile frozen wasteland.” The game will be built on Unreal Engine and run on Improbable’s SpatialOS platform. Improbable hasn’t disclosed how much it will spend on “Scavengers,” or what the conditions of the agreement are. Business Insider understands the funding will be made in tranches, and that the company has already fronted some of the money. It will also embed some of its own engineers at Midwinter Entertainment’s Seattle studio. “Scavengers” is still in the early stages of development, Holmes said, and there’s no release date as yet. The game will be available on Steam, but may be available on consoles at a later date. It’s a big change for Improbable, which has so for not produced or funded any content to run on SpatialOS. Instead it has relied on third-party partners such as Bossa Studios and Spilt Milk Studio to build games on its platform. Games running on SpatialOS include “Worlds Adrift,” a user-generated world of “endless” islands, and “Lazarus,” a multiplayer sci-fi game. Improbable also has a sizeable contract with the US military. The SoftBank funding is a game-changer in terms of freeing up Improbable to fund what Narula describes as “riskier” games. It is, Narula said, a major reason why the firm wanted the funding. “We realised the right way to enable these new experiences was working with a combination of partners big and small and being able to seed some of the most risky, innovative things,” he said. But the bulk of Improbable’s business will still come from third-party developers making titles that run on SpatialOS, Narula said.